Black would like to promote that f-pawn. 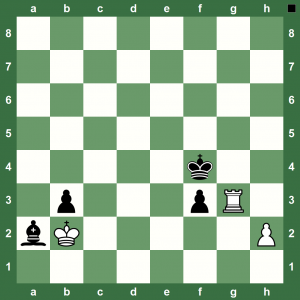 The problem is that if Black plays f2 then White rolls the Rook to g7 or g8 to skewer the Queen if Black dares to promote. So, what did Black do to win this game?